It's what connects the circle of communities together. Each is different in its own way. However, they all celebrate many things in common, like the famous quilt gardens. Together, they make one of America's most scenic drives. It doesn't matter which town you start in as each one offers visitors delicious dining, unique shopping, relaxing accommodations, and fun events for the whole family to enjoy. My adventure began in Elkhart at the County Convention & Visitors Bureau where quilts are beautifully displayed on the walls like an art gallery. Pick up a free Heritage Trail Audio Driving Tour CD to guide you along the way with points of interest and tidbits of history. If there is time, venture off the trail and enjoy the suggested side trips and your "guide" will be ready to resume when you are. This year marks the tenth anniversary of the quilt gardens sponsored and funded by the Elkhart County CVB. 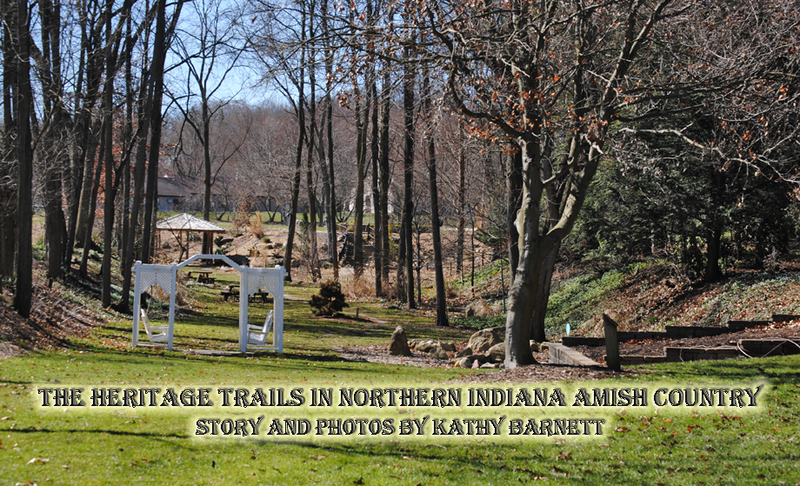 There are 19 gardens along the trail as well as 22 hand-painted murals displayed on the sides of various buildings. 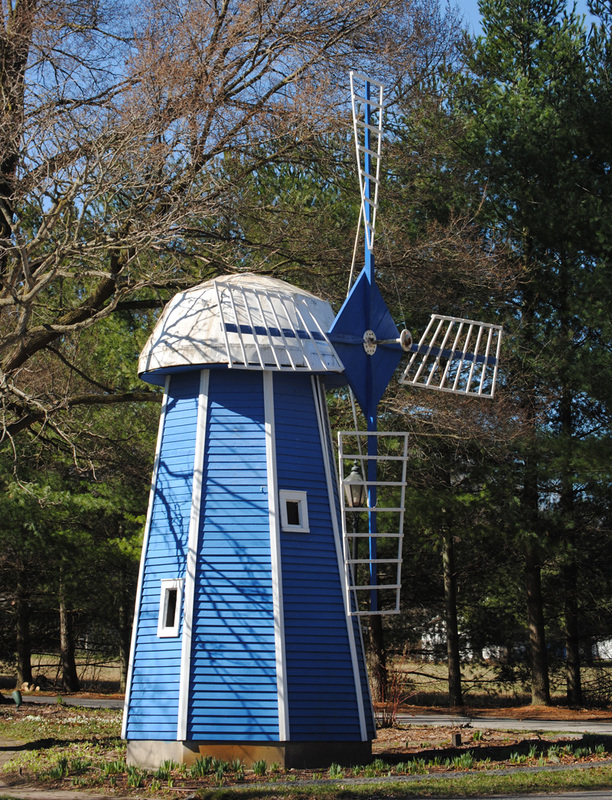 "The quilt gardens join it all together: quilting, gardening and art – all proudly shared by our communities and linked by the roads that form the Heritage Trail," explained Terry Mark, marketing director of the County CVB. "Each quilt garden has its own pattern, but follows a theme that our committee sets up. We fund them while many, many volunteers work very hard to plant the flowers and keep them well-groomed." Terry also showed how the garden spots are chosen near and around popular points of interest that may have admission fees, but are set apart so visitors can view close up and take photos. Keep your eyes open for the different forms of artwork displayed throughout the area. There are elk sculpures from a previous fund raiser for "CAPS," a child abuse prevention agency. Among other sculptures by artists John Mishler and Jake Webster, this year in celebration of the Quilt Gardens' anniversary, more than 50 bronze sculptures by Seward Johnson will be on display between May 30 and Oct. 20. 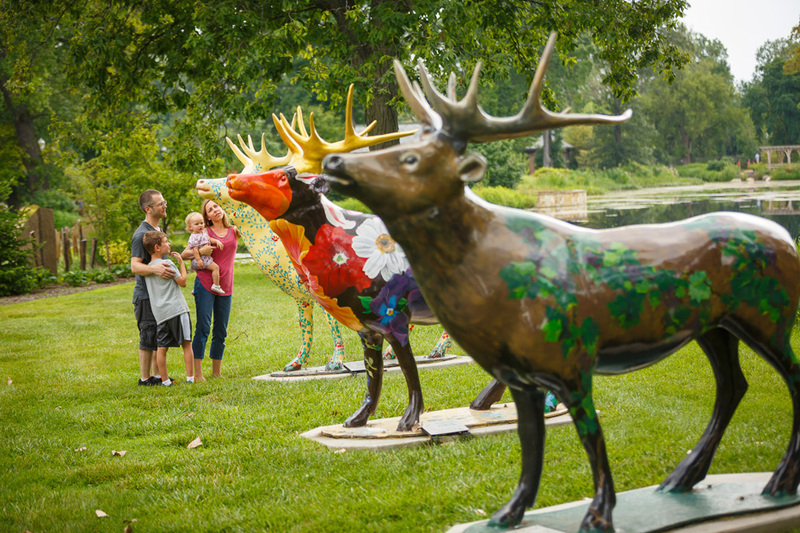 Each of the quilt gardens will have a life-size sculpture to enjoy. Other fun and interactive sculptures will also be positioned in the downtown areas. 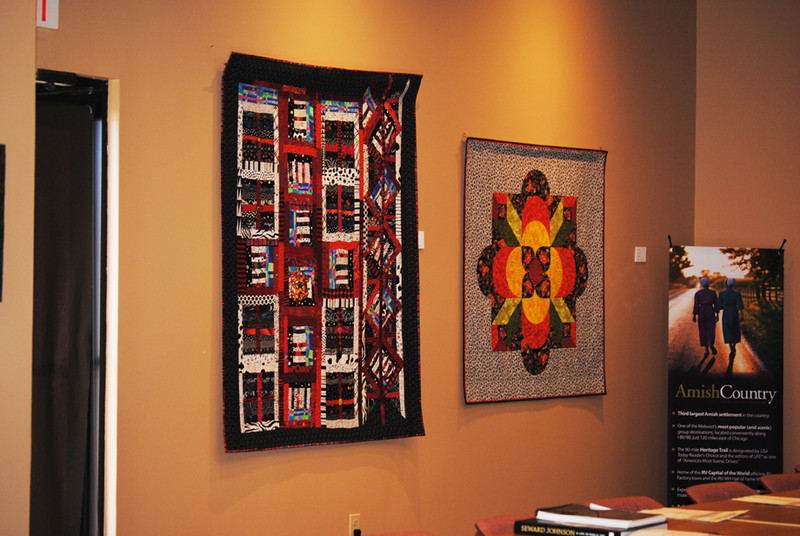 In Bristol, stop by the Elkhart County Historical Museum to see the collection of actual quilts beautifully displayed. A shopping trip is in order at Camille's Florals and Gifts featuring farmhouse soaps and scented accents. Want to try making a quilt of your own? Lavender Patch offers a large selection of quilting fabrics and accessories. Visit on a Friday and join in the fun of sewing on your project. Free advice and lessons are shared with others and hear about other's adventures. At Fruit Hills Winery and Orchard, sample wines in the tasting room and select a bottle to take home. On the main street through town is the Bristol Opera House, home of the county's original civic theatre. The theatre continues to thrive due to the integral work of all the volunteers. Get your tickets online now at elkhartcivictheatre.org for the upcoming whodunit show of "Go Back For Murder" from April 21-30 or "Moon Over Buffalo" performances May 19-38. 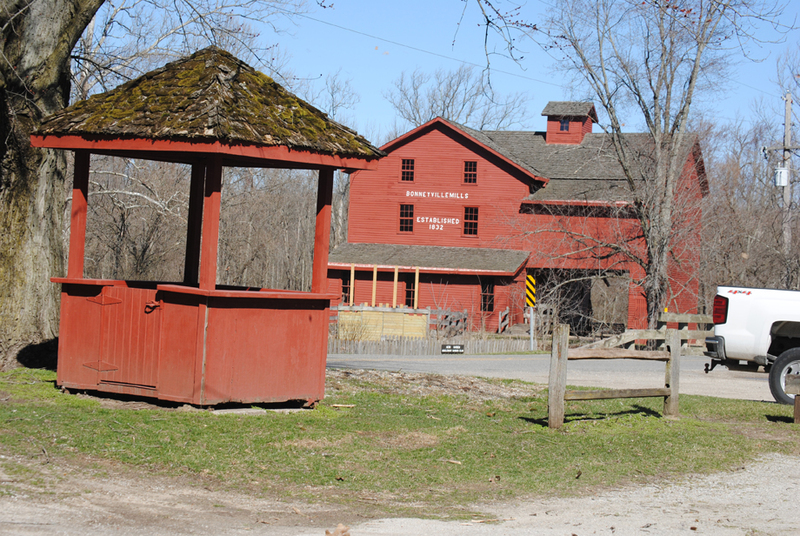 About five minutes away is Bonneyville Mill Park where you can witness grain still being ground into flour using the authentic grist stone. Built in 1832, the heavy timber building housing the mill welcomes the public from May through October. There are hiking and bike trails and picnic tables on the grounds as well as a huge barn gift shop. Hungry yet? 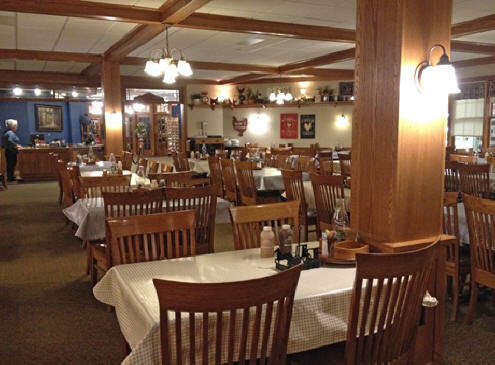 Stop for lunch in Middlebury at the largest restaurant in Indiana, the Das Dutchman Essenhaus. 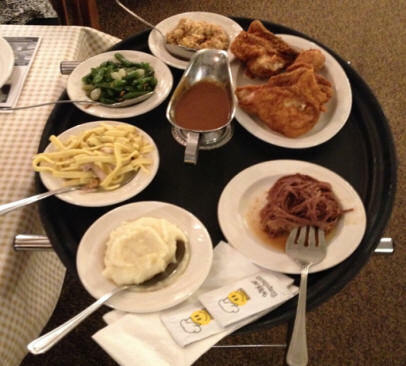 They serve authentic Amish-style recipes in a family-style manor or you can choose the buffet featuring three entrees, ten or more hot sides and a full soup and salad bar. Save room for dessert from their bakery. Next door, another huge barn displays five unique shops. Find the latest in fashion at The Clothesline, Coastal Decor and tech gadgets at The Corn Crib, candles and primitive decor at The Cabin, furniture and home decor at Dutch Country Gifts, quilts and crafts at The Quilt Shop and more. All are open late, so you can shop until eight or opt for tickets to a show across the street at The Heritage Hall. "Mail-Order Bride" is the next performance through June 30. Classic car cruise-ins are held on the ground every Thursday evening throughout the summer. The Inn and Conference Center there makes it convenient to come for the whole weekend. Take advantage of the fitness center, game room, indoor swimming pool and therapeutic hot tub. Complimentary breakfast is served before checkout time. Serious bikers may wish to explore the Pumpkinvine Trail, past giant toadstool statues and an English tea house at Krider "World's Fair" Garden. The gardens were originally designed for display in the 1933-1934 Chicago World's Fair. Featured is a fountain, mill house, reflecting pool, toadstool sculptures, pergola, arbor with swings and a double waterfall. Bikers may prefer to begin their journey in this town and visit half the other communities, stay the night in Middlebury, then visit the other half the next day without having to travel so far to get back to your vehicle. 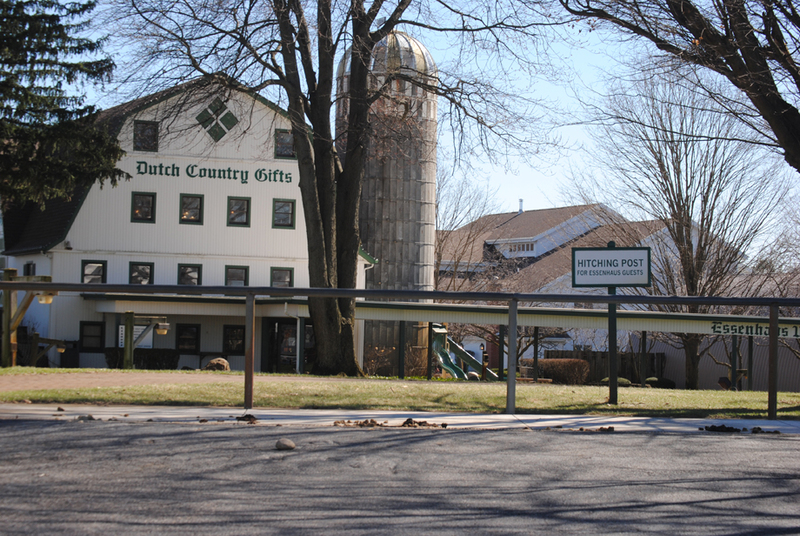 The town of Shipshewana successfully blends the Amish culture with the modern day mix of commerce and community. Amish buggies are easily seen traveling down the streets or parked at businesses. Shipshewana is home to one of the largest flea markets in the Midwest with as many as 900 boths in an open-air market on 100 acres. Be sure to wear your walking shoes or scooter rentals are available. NEW FOR 2017 is the "FLEA"ture! It's a unique vendor village in the heart of the flea market featuring shabby chic, local crafts, jewelry & boutique clothing, and antiques & collectibles. Check the schedule for livestock, horse or antique auctions held throughout the summer months. In Goshen, enjoy the abundance of shopping at specialty boutiques, live entertainment at Sauder Concert Hall and a stop by the South Side Soda Shop for the official "Philly Chili." Featured on the Food Network's show, Diners, Drive-ins and Dives, they are also known for their delicious made-from-scratch pies with more than 50 and fresh seafood. Photos with owner Nick Boyd and show celebrity Guy Fieri grace the walls with other memorabilia of the diner. The South Side Soda Shop's chili has been voted Michiana's best chili seven times; the Lemon Meringue pie won the Indiana Pie Quest Contest; the South Side Soda Shop has been featured in Gourmet Magazine and numerous regional publications, as well as the film, Lonesome Jim, directed by film star Steve Buscemi. Round up with stops in Wakarusa and Nappanee to find the last of the quilt gardens, enjoy the historic century-old buildings as you visit a dime store for candy or a 110-year-old hardware. Perhaps visit during the Wakarusa Maple Syrup Festival April 28-30, or the Nappanee Apple Festival Sept. 14-17. All in all, you are sure to find a well-rounded supply of art, entertainment, gardens and quilts along this American Heritage Trail!